If the Galaxy Note 4 is the phone you are waiting for, then it appears as if you will not be disappointed. Thanks to a leak from a European device retailer, the exact specifications for Samsung’s upcoming device have been reportedly leaked, and this thing ain’t no chump. From what is listed, the Galaxy Note 4 should in fact come equipped with a 5.7″ QHD display (2560 x 1440), 16MP rear-facing camera, Qualcomm-made Snapdragon 805 quad-core processor, 4GB of RAM(! ), USB 3.0 port, Bluetooth 4.0, microSD slot, come in 16/32/64GB variants, and run Android 4.4.3 on launch. However, still no word on battery size. The device is to be announced on September 3 in Berlin, Germany, but Samsung is also hosting a satellite event in NYC which we will be attending. Expect much more Note 4 coverage soon. 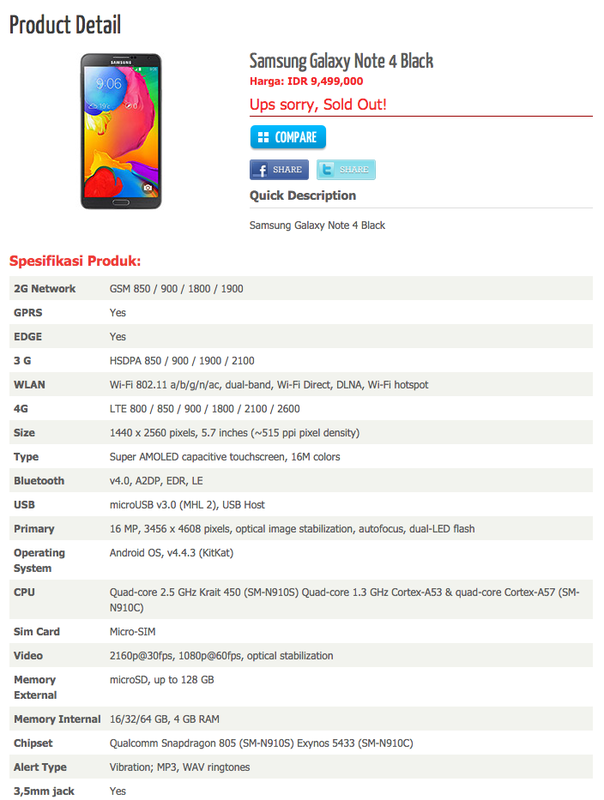 If these specs are legit, and the device is launched soon after unveiling, will you be picking one up?